Cairbbean Lifestyle Media-Irie Ites Records recently completed the Billie Jean Riddim which is slated for release in mid November. 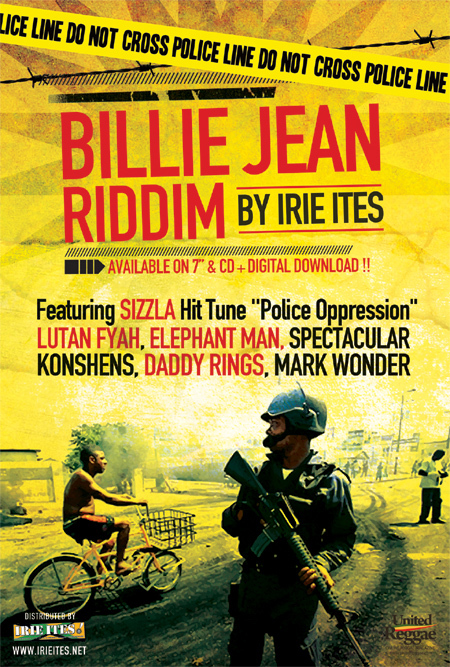 The Riddim features new music from Elephant Man, Lutan Fyah, Sizzla, and Konshens among others. Billie Jean Riddim will be available via Itunes and Amazon .